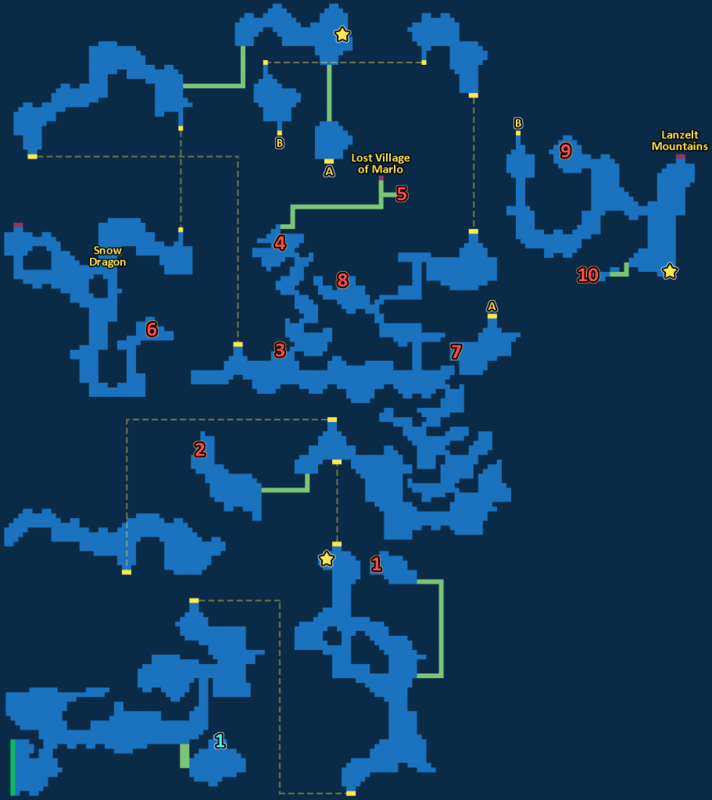 Wolfsfang Peak Exploration is the 4th map available in Lanzelt upon beating all regular dungeons in this map. 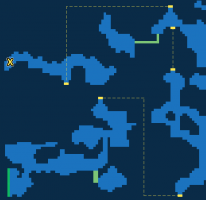 This is the harder map of all explorations and you will want to bring antidote or healers. 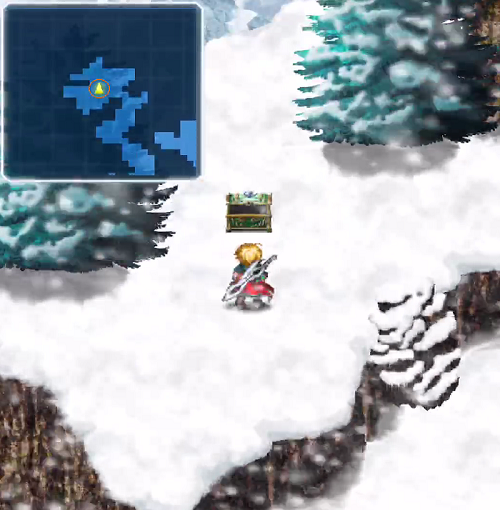 The map is large and you need to fight the Snow Dragon in order to unlock Shiva from Lanzelt Mountains. 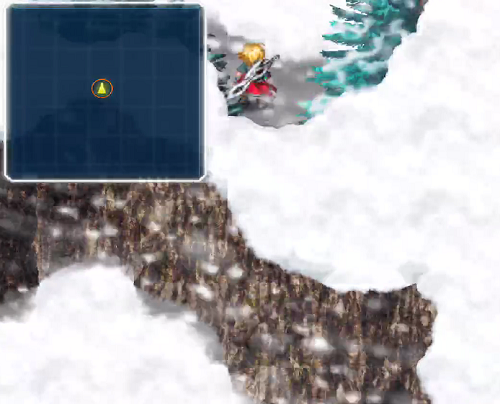 The Frost Dragon takes 50% more damage from fire skills. He is immune to gravity spells and has 100% resistance against ice. Bring all your fire attackers! 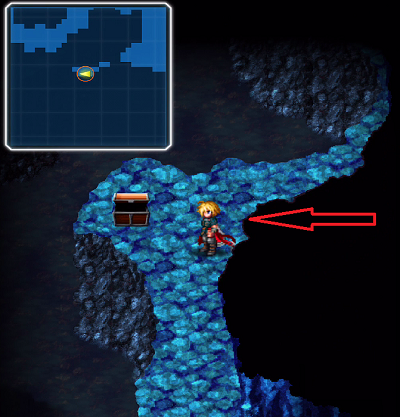 Also don’t forget to bring the antidote and green magic blindna to cure blind..
Silver Chest  – Go right and check out the hidden path on the bottom right to get there. You need a magic key to open it for a recipe for Barblizzara. 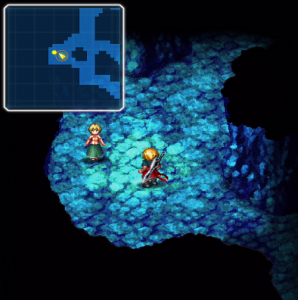 Location 1 – Now head into the cave by heading north. 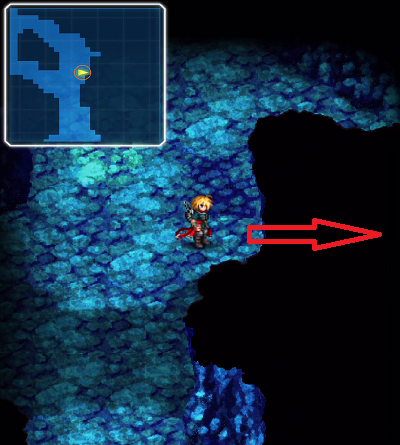 Look for that area where the red arrow is. 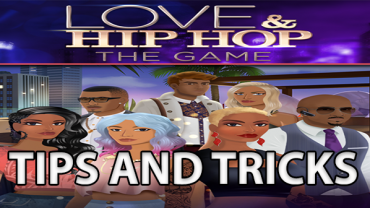 Now head right and up and then left to get your first treasure chest. It contains an Iron Plate, a light armor that gives DEF+22. Collection Point 1 – Now backtrack to the main path and head north to find your first collection point right before the cave entrance outside. Location 2 – Now head outside and go left to the red arrow. Move downwards and left to get your Star Quartz. Location 3 – Now backtrack to the 2 entrances you see from location 2. Head right and walk up a bunch of stairs. 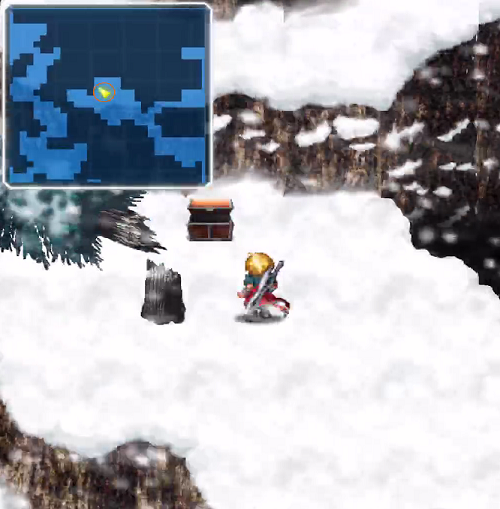 Then, head left to find a White Fang(Deals 400 ice damage to all enemies). Location 4 – Head north of location 3 up the snow stairs for another Star Quartz. Location 5 – Now go to the hidden path and move right all the way to find Earth Key 5, which you can exchange it at the vault in Royal Capital Grandshelt. 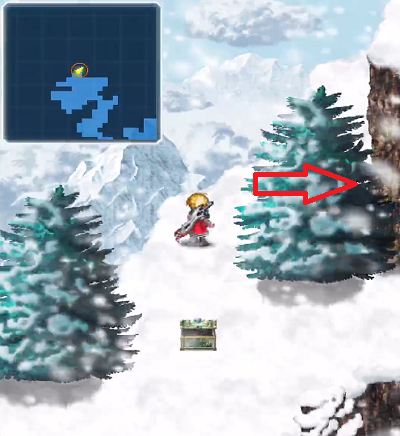 It is a pair of Mythril Gloves, which is an accessory that gives DEF+6 and Protect (DEF+30%) when HP below 10%. 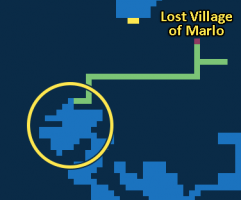 And if you head upwards, you will also see the entrance to the secret village called the Lost Village of Marlo. Should you decide to carry on exploring, back track to the center once again. 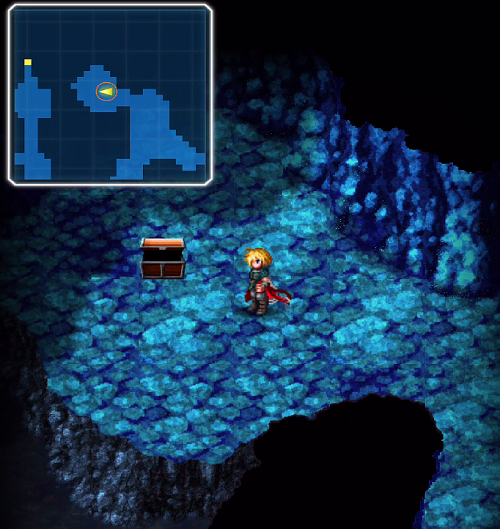 Location 6 – Head back to where location 3 is and enter the cave on the left. Once inside, go all the way right and head down the ladder. 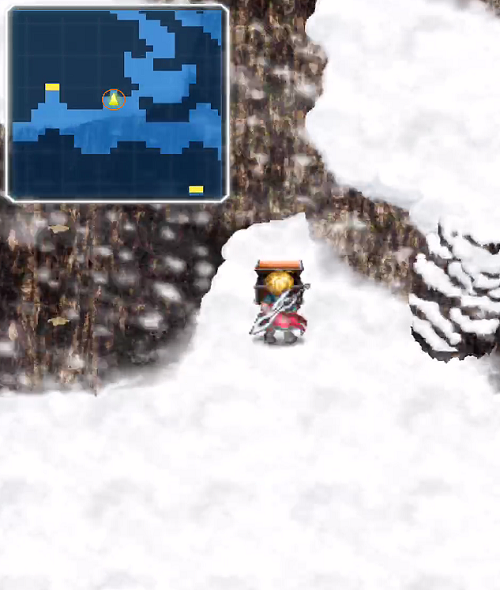 Be prepared to fight the Snow(Frost) Dragon. 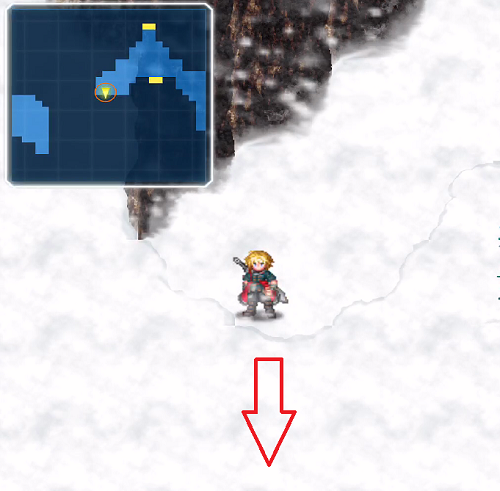 You need to kill him to open up a new path that isn’t accessible until he is dead. 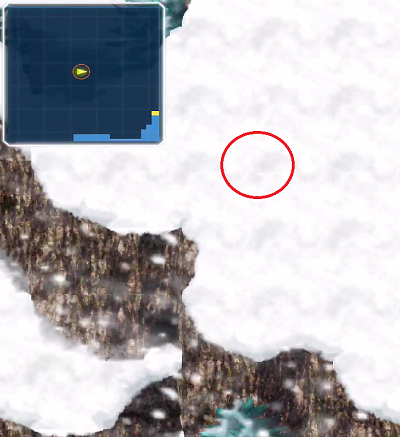 Make sure to continue exploring to unlock Lanzelt Mountains. Head south and right to pick up a Phoenix Down. Location 7 and Collection Point 2 – Now backtrack all the way to where the ladder is. 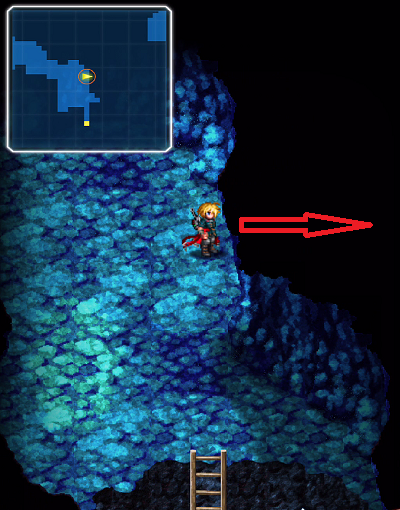 Enter the secret path where the red arrow is to get to collection point 2. 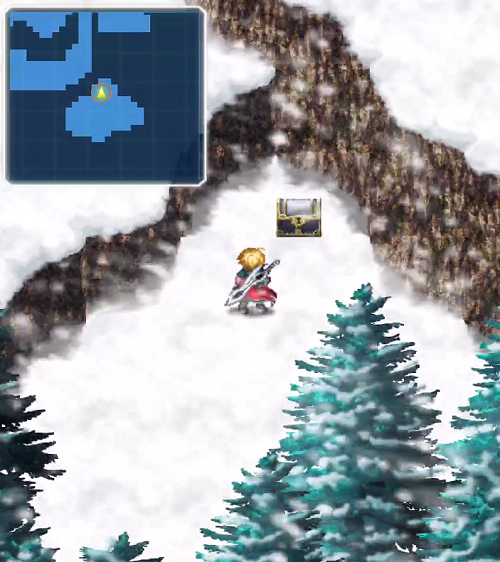 Then head south to another secret path to collect your treasure chest outside. 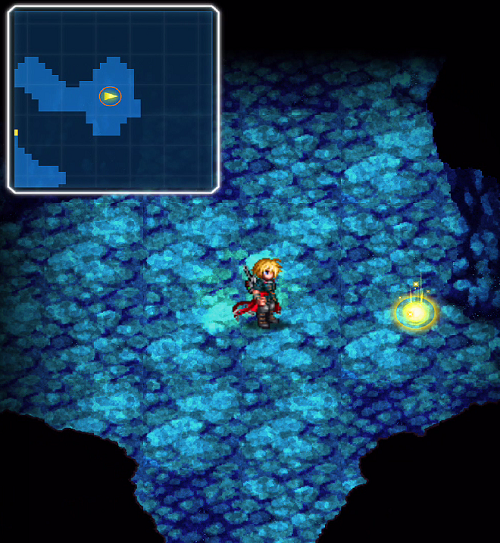 Location 8 – Now backtrack to the center of the map outside of the cave where location 3 is. 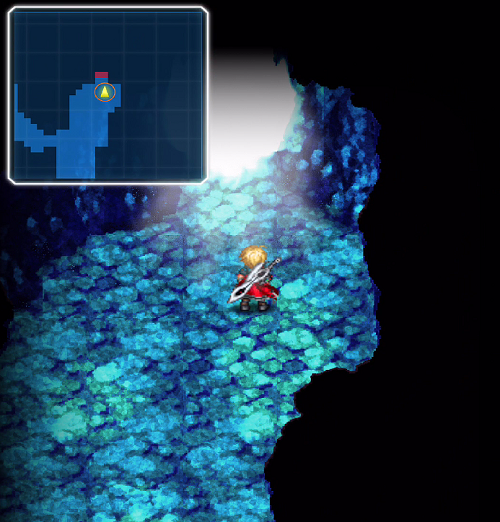 Head far right to see a new path accessible upon defeating the dragon. 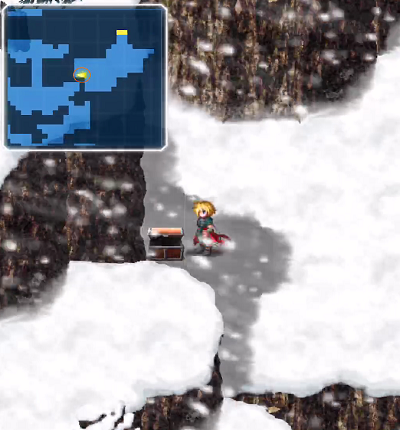 Go north to pick up Earth Key 24, where you can get an Icebrand(a sword that gives ATK+33) at the vault. Location 9 – Now from location 8, go right pass the tree that collapsed. Head north and enter the cave. 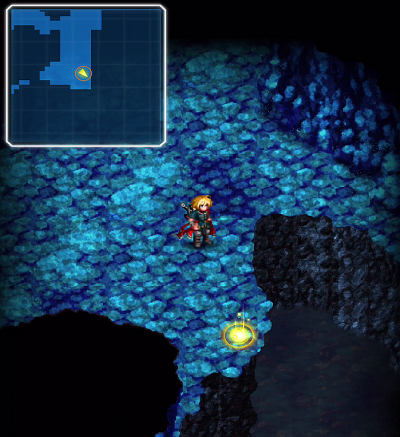 Climb down the ladder to the final area. Go down, right and up to pick up a Tent. Location 10 and Collection Point 3 – From location 9, head south to pick up your final collection point. 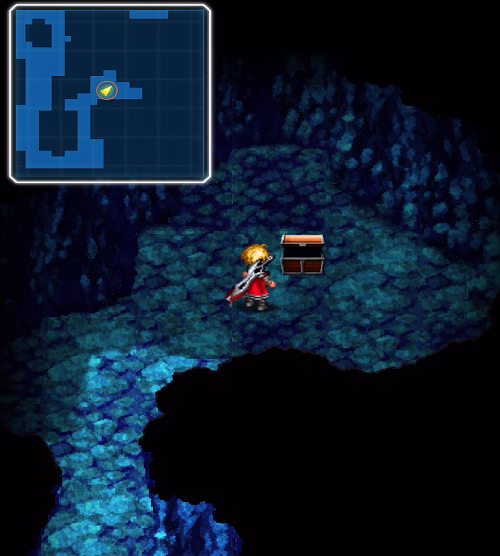 Then head left to find a hidden path to get your final treasure. It is a Cat’s Bell, an accessory that gives DEF+1, MP+20 and Hp recovery while walking. 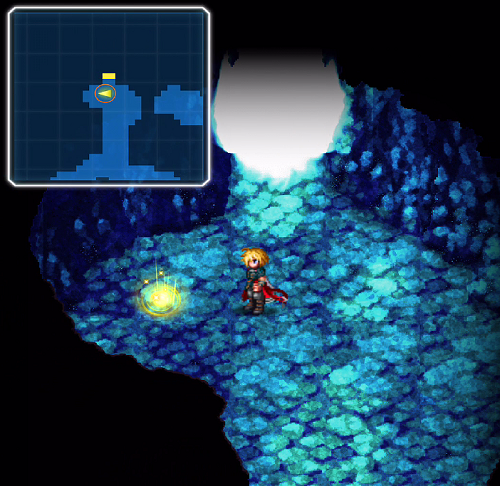 It is a great item for exploration maps. 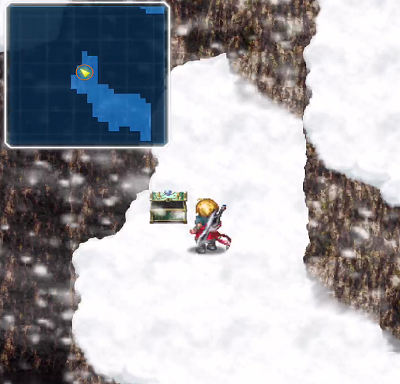 Finally, head north and you can exit the cave to unlock Lanzelt Mountains. 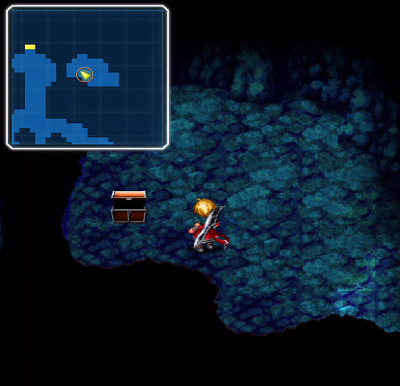 This will be the map that you get to fight Shiva and get her as an esper.